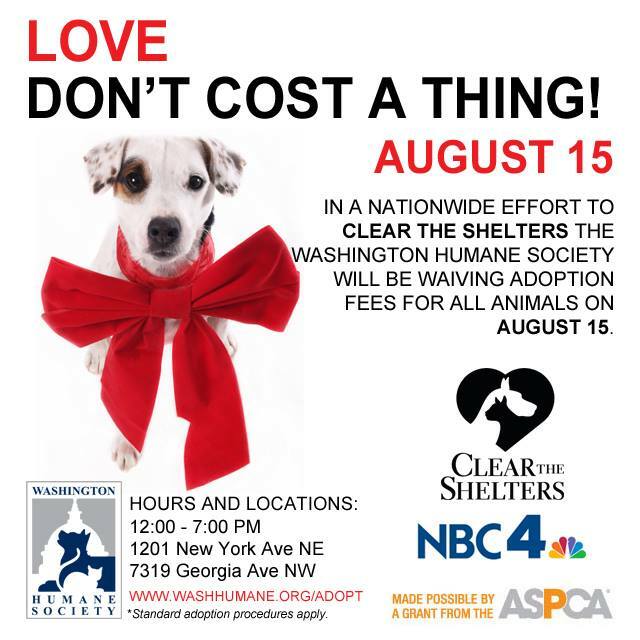 The Washington Humane Society offers no-fee adoptions on Saturday for dogs, cats and other small animals. With an adoption center conveniently located at 1201 New York Ave NE in Ivy City, this is a great opportunity to add a new family member. The shelter opens at noon. All dogs and cats are spayed or neutered, up-to-date on vaccinations, and microchipped when you adopt them. To learn more about the adoption process and see the animals currently available visit washhumane.org.